Advisor Mutual Funds When is a TFSA a better option than an RRSP? 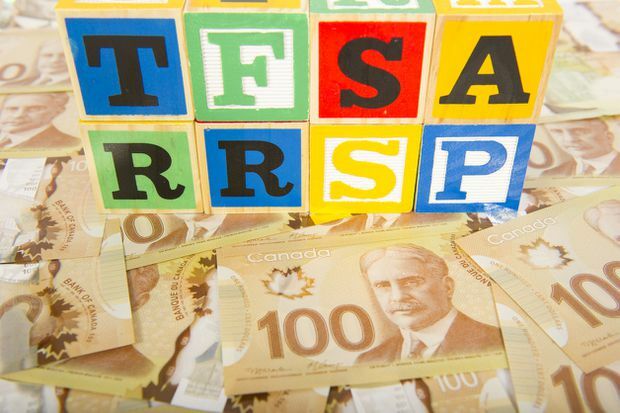 When is a TFSA a better option than an RRSP? ‘Tis the season – for registered retirement savings plan (RRSP) contributions, that is. February is a busy time for financial advisors as they work with clients to make last-minute contributions to their RRSPs before the March 1 deadline. Yet, the timing also couldn’t be better to get clients focused on their overall retirement plan – a discussion that doesn’t always have to revolve around the RRSP. In fact, the discussion also may involve the tax-free savings account (TFSA), says Darren Coleman, senior vice-president, private client group, and portfolio manager at Coleman Wealth, a division of Raymond James Ltd. in Toronto. Seeing a contribution strategy that largely favours the RRSP is a common occurrence when meeting clients for the first time, even though their situation may call for greater emphasis on the TFSA, Mr. Coleman says. The oversight is hardly surprising, says Ian Wood, assistant vice-president, business development, at Cardinal Capital Management Inc. in Winnipeg. After all the RRSP has been with us for decades, but the TFSA has been around since only 2009 – and it began with a modest $5,000-limit contribution. “But now with a [cumulative lifetime] contribution maximum of $63,500 [for residents of Canada who were 18 years of age or older as of 2009], and a lot of these accounts having grown to more than $100,000, [the TFSA] can have a much bigger impact on retirement plans,” Mr. Wood says. In addition, the TFSA is particularly top of mind this year because the annual contribution maximum rose to $6,000 from $5,500. Then again, the marketing for RRSPs at this time of year is so pervasive that Mr. Wood says it’s an advisor’s job to start the discussion around the TFSA. Then, it’s a matter of helping clients come to an informed decision by running the numbers on their investment returns, and current and future tax situations, within the context of their unique needs. Olivia Yu, an advisor with Edward Jones in Burnaby, B.C., says the decision between the RRSP and the TFSA ultimately boils down to the tax deferral clients see today from the RRSP contributions compared with the tax savings they might experience when they withdraw their assets from the account during retirement. Typically, clients with higher incomes should look to the RRSP first because they are unlikely to pay higher taxes in retirement than they do today. In contrast, clients with lower incomes should favour a TFSA because if they make a contribution toward their RRSP today, their tax savings are unlikely to be more than in retirement. In fact, the concern is that they will pay more taxes in retirement. Taxable income from an RRSP or a registered retirement income fund (RRIF) can result in OAS benefits being clawed back; or, in the case of lower-income individuals, their guaranteed income supplement being reduced as well. “With more immigrants coming over, they often don’t have much income when they turn 65, so there should be thought given to maximize the guaranteed income supplement,” Ms. Yu says. Thus, the TFSA is the ideal tool to help keep taxable income low for seniors who may not have a workplace pension or much, if any, CPP. Yet, it’s not just low-income individuals who should consider a TFSA over the RRSP. Workers with good pension plans – particularly those who have a defined-benefit pension plan – also may want to consider contributing to a TFSA. Although the immediate tax relief from RRSP contributions is indeed desirable for these clients, it may not be the best strategy long-term because their pension income – combined with CPP, OAS and large RRIF payments – could push them into a higher tax bracket in retirement. “That’s why running those projections is vital,” Mr. Coleman says. For example, RRSP contributions – monthly and lump sum – may still work for a couple if one spouse has a good pension and higher income and the other spouse has no pension and lower income. In that case, a spousal RRSP might be valuable, he adds. Mr. Coleman might also advise individuals a year or two out from retirement to shift their RRSP contributions to a TFSA instead as the tax picture becomes clearer. They might even shift their RRSP and RRIF assets in-kind to a TFSA incrementally once they’re retired and at a lower bracket so that the money might be withdrawn later on for greater tax efficiency. Ms. Yu notes that a similar strategy, but in reverse, can work well for younger clients. The biggest challenge for advisors is finding the option that fits their client best.